Some owners of the flagship HTC One handset have received a software upgrade this morning, but it may not be the one they were looking for. Amid hints that HTC was planning to make the stock Android experience available to everyone, the company has instead rolled out Android 4.2.2 Jelly Bean for some existing users of the handset. The changes are mainly aesthetic, but are headlined by the return of the Android 'Menu' key to proceedings. It's hardly the return of Start to Windows, but now HTC One owners can long press the Home key and bring up the old Menu options as well as Google Now. The minor bump also brings the Daydream screensaver experience, while users will finally be able to enable a percentage view of their battery life. 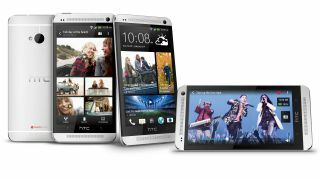 The release, which is yet to hit all users, comes as Google announced an HTC One Google Edition with the Nexus experience, which comes without HTC's love-it-or-loathe-it Sense UI. In the aftermath of the launch, HTC said it was "examining the best way to support early adopters of the One," which means those who would prefer the raw Android experience may get that option soon enough.